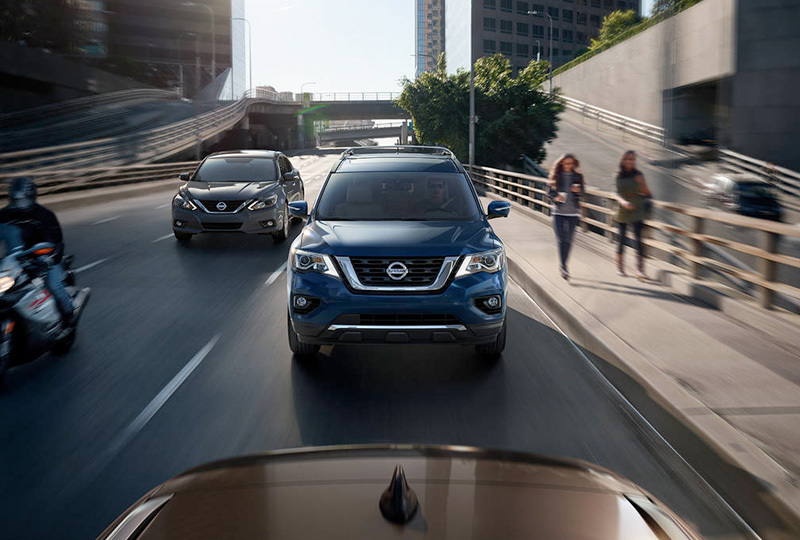 The 2018 Nissan Pathfinder from Grubbs Nissan in Bedford, TX - serving Dallas, Fort Worth, Arlington, and Irving - allows you to travel often with the ones you love most. Comfort and convenience combine to create the ultimate SUV for chasing everyday adventures and exploring exciting new destinations. 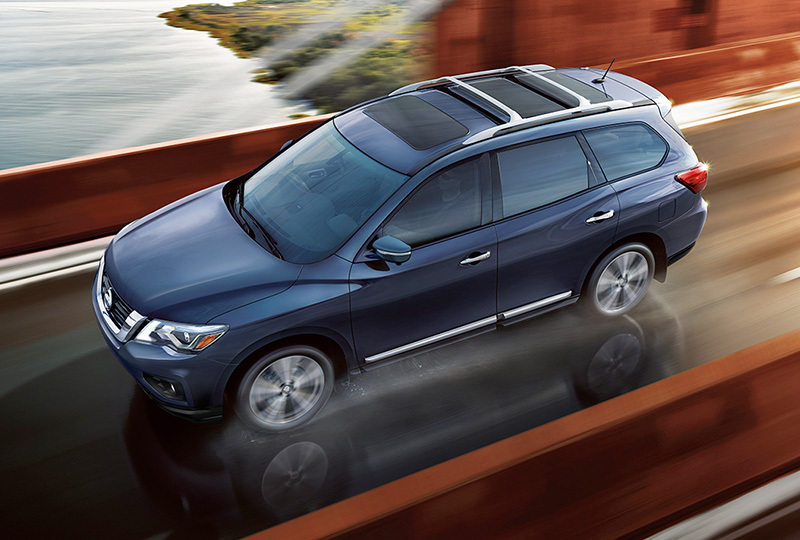 Enjoy the view as you travel with an available moonroof that opens to revel the sky above. Conquer every pathway with the 3.5L V6 engine that provides 284 horsepower and the available intelligent all-wheel-drive system that keeps you steady on your course. A cozy cabin invites you inside to embrace comfortable cloth seating and the tri-zone automatic climate system that regulates temperature based on your settings. Customize your storage with the EZ Flex® seating system that adds split-folding second- and third-row seating. Monitor entertainment options on the Nissan 8-inch touchscreen display, which provides smartphone integration through the Bluetooth® hands-free phone system. It's a great time to buy a new Nissan! Our 2018 inventory is here, and we can't wait to help you find the 2018 Nissan Pathfinder you've always wanted. Visit the showroom located at 310 Airport Freeway in Bedford, TX, to take your test drive today! A rugged design greets you from every angle, while the signature character lines flow low on the body, providing a spacious interior filled with light. 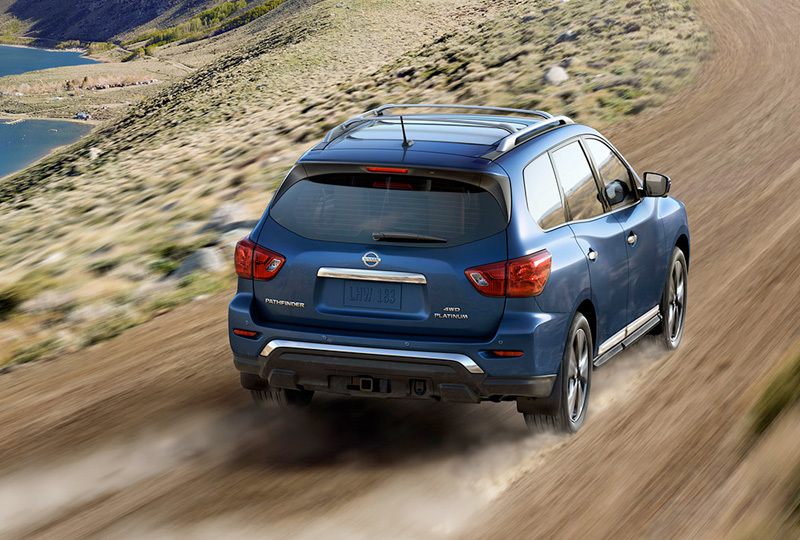 Strategically located spoilers and deflectors help improve Nissan Pathfinder's aerodynamic performance ‐ an athletic statement you'll also appreciate when it comes to fuel efficiency. With more power, greater available towing capability, and a suspension tuned for more dynamic handling, your next adventure just got a lot more exciting. This standard system can help save you from a potential frontal collision. It monitors your speed and distance between you and the car ahead and can let you know if you need to slow down. It can even automatically engage the brakes to help avoid a collision or lessen the severity of an impact. 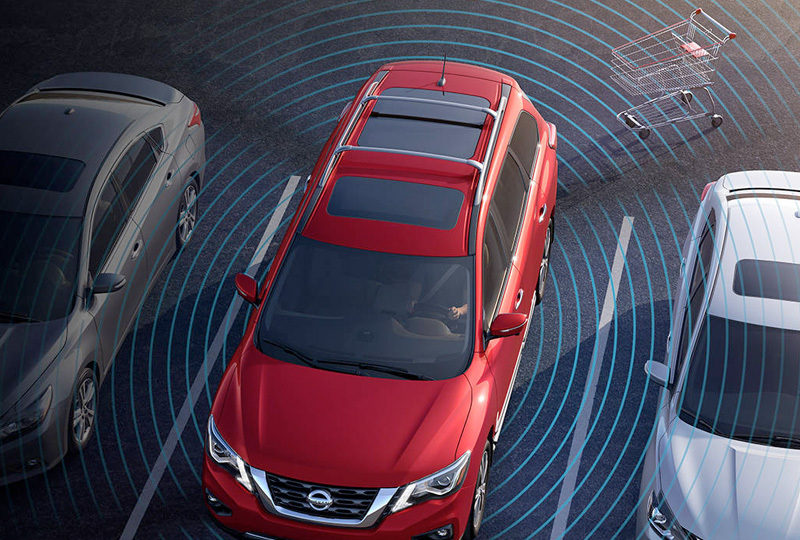 Pathfinder's available Intelligent Around View Monitor uses four cameras to give you a virtual composite 360-degree bird's-eye view of your vehicle with selectable split-screen close-ups of the front, rear, and curbside views. It also gives you an on-screen heads-up when it detects moving objects near your vehicle. Maximum towing capacity when properly equipped. Maximum towing of up to: 3,500 lbs. for Pathfinder® S, SV, and SL trims 6,000 lbs. for Pathfinder® SV trim with Tech Package, SL trim with Premium Package, and Platinum trim Towing capacity varies by configuration. See Nissan Towing Guide and Owner's Manual for additional information. AEB cannot prevent accidents due to carelessness or dangerous driving techniques. It may not provide warning or braking in certain conditions. Speed and other limitations apply. See Owner's Manual for details. Intelligent Around View Monitor (IAVM) cannot completely eliminate blind spots and may not detect every object. IAVM operates at vehicle speeds below 5 mph. Always check surroundings and turn to look behind you before moving vehicle.